When the Berlin Wall fell 25 years ago, a lot was made of what the unification would bring to East Berlin. But one artist, Christof Zwiener, wondered about what was already there that would no longer have a purpose, like flag posts and party symbols. Among the everyday objects that he has since turned into art is a former guard house. It has become both a piece of art and an exhibition space. The biggest surprise: its home is in Los Angeles. The former guard house used to stand in front of the GDR state-controlled news service ADN in East Berlin. Zwiener saved it from the junk yard. 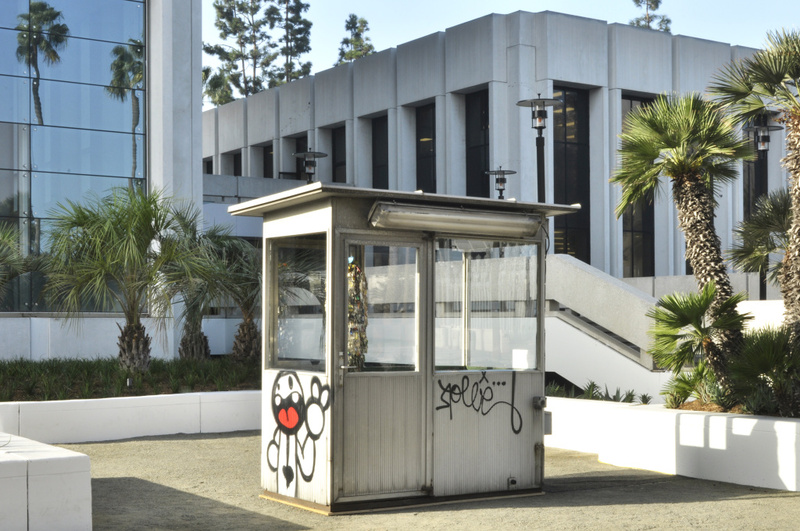 Since arriving in Los Angeles a few weeks ago, the guard house has been displayed in different installations around the city. Zwiener transformed it into a showroom for several art installations in Berlin. He says: "Instead of a guard in the house. There's art in the house!" Why did it come to Los Angeles? Justin Jampol heard about the project. He is founder and director of the Wende Museum, an archive and research institution based in Culver City that focuses on former Eastern bloc countries. Constantly looking for GDR artifacts, the guard house concept - with its themes of media and surveillance - fascinated Jampol immediately. The historian arranged for the guard house to come to Los Angeles and Zwiener decided to give it to the Wende Museum on permanent loan. The artist is happy that the guard house will be retiring under palm trees after enduring snow and frost for many years.